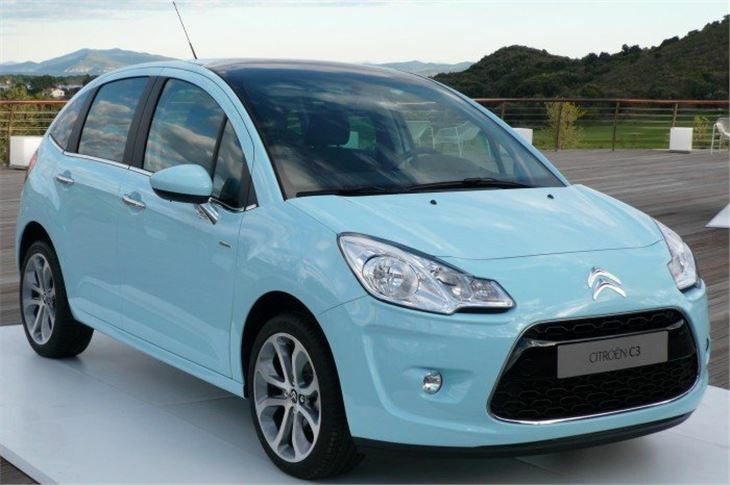 Meet the 2010 Citroen C3. 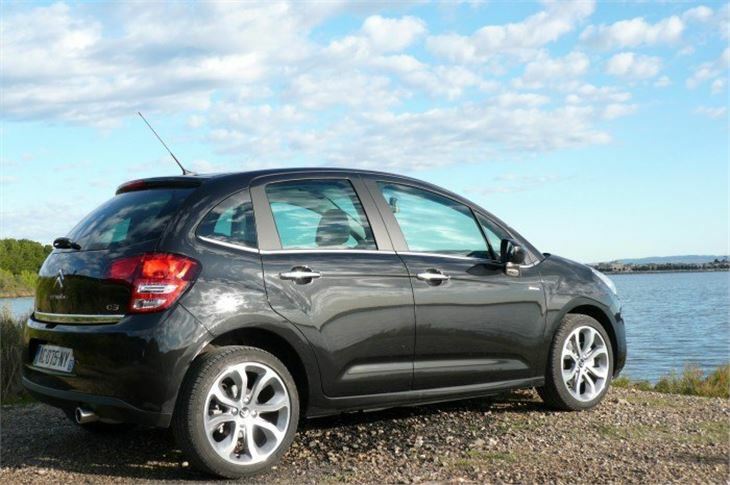 Small hatchbacks make such a crowded sector of the market that no manufacturer can expect to come up with just another one and expect it to sell. Citroen, being Citroen, played it a bit different first time around with its original C3, making the car a bit taller and a bit more mini MPV-like than a run of the mill supermini. 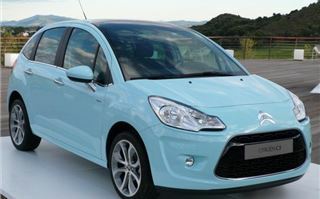 So what could it do to make its second-generation C3 stand out from the crowd and make you want to buy one? In France the authorities considerately place a small set of traffic lights at eye-level, so if you can’t see the overhead lights you still know when to get moving before the horns behind you start to blare. So Citroen’s designers must have travelled to more backward countries like the UK to realise the need we have to see the lights when were are first in a traffic queue. 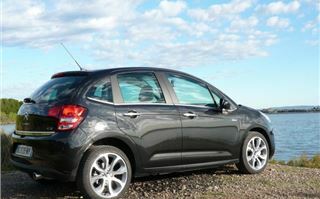 Hence the new Citroen C3’s unique feature. A screen that doesn’t stop until it’s on top of your head. Citroen calls it, “a touch of glass”. They had a bit of practice at this with their similarly over the top front window on the C4 Picasso that makes the south perimeter road at Heathrow a particularly frightening drive when the planes are on a northerly approach. Called the ‘Zenith’ screen, it is progressively tinted front to back, so you don’t get progressively tinted. Instead of the normal 28 degree angle of vision it gives you 108 degrees. And if it’s all too much you can pull a rooflining down to where the screen top rail would normally be. Apart from the 1.1 61PS and 1.4 75PS, C3 petrol engines are basically the same new chain-cam PSA lumps you’ll find in a MINI or a Peugeot. And we are all very familiar with the 1.4 and 1.6HDIs found in almost every small European car these days. 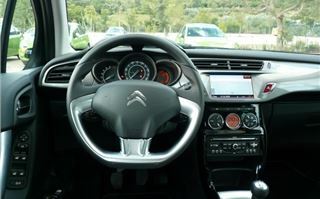 What’s immediately apparent as you settle behind the chunky steering wheel is what a nice dashboard you’re faced with. 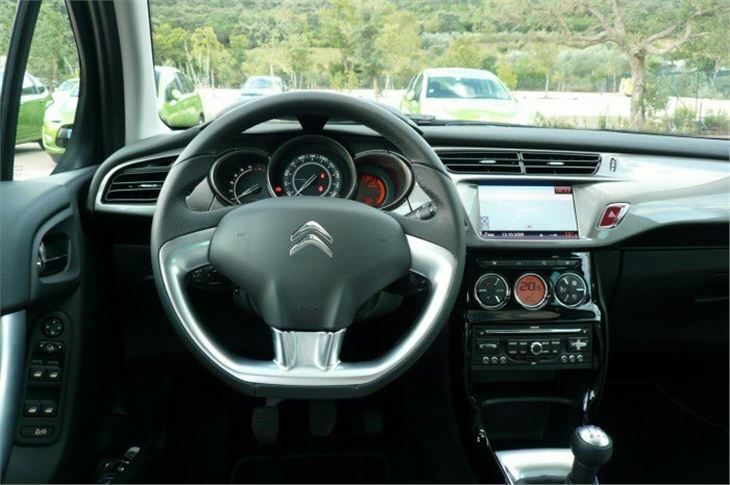 The optional satnav screen is beautifully integrated, the dials are clear, the whole thing has an expensive feel you would not have expected in a supermini from Citroen. The seat material, too (at least in the HDI 90 Exclusive we were driving) was a discreet form for velour, the seats themselves were comfortable enough to accommodate us for 150 miles without a twinge and the motor goes as well as it does in anything else it’s fitted to. Happily a DPF is optional with this engine (so don’t ask for trouble), and the CO2 is 110g/km so low enough for £35 VED this year, £20 VED next year, and also low enough for a company to write the whole car off against tax in the first year. 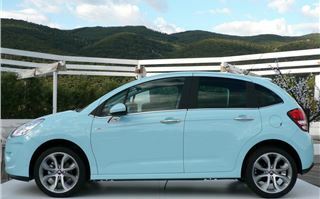 Handling is generally very accomplished, marred only by steering that’s a little too light, especially when overtaking a truck or a bus on a bend on one of Italy’s narrow lane dual carriageways. Gearing is around 32mph per 1,000rpm in 5th, so it’s a relaxed cruiser. With its MINI Cooper engine, the 1.6VTi didn’t feel like it had 120PS (just as a MINI Cooper and a Peugeot 207 with the same engine don’t). But it’s certainly smooth enough not to drone at its lower geared 4,000rpm 80mph cruise. 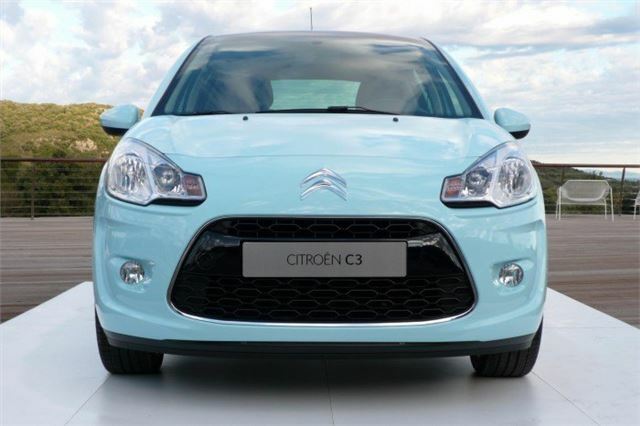 Refreshingly, the new C3 is no heavier than the old one, and, at a mere 3,941mm, no longer. 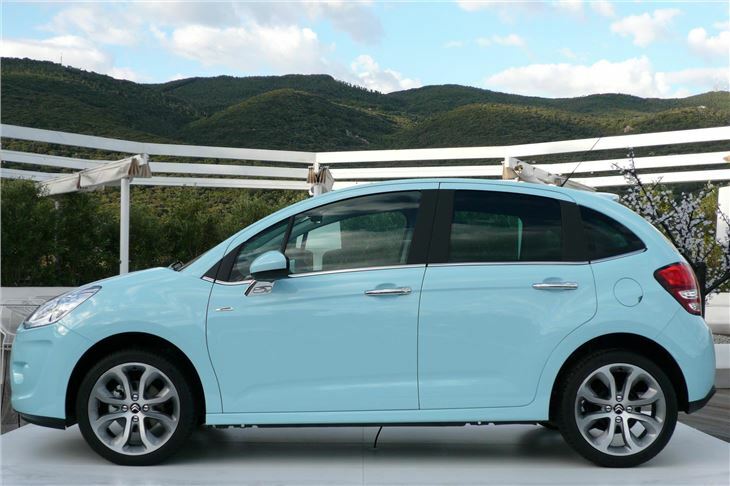 At under 13 feet, It’s actually the shortest B2 Supermini, yet with 300 litres, has the largest boot. In February 2010 you’ll be able to buy most of the range, including a 1.6 ‘Airdream’ diesel that emits just 99g/km CO2 and escapes being taxed. 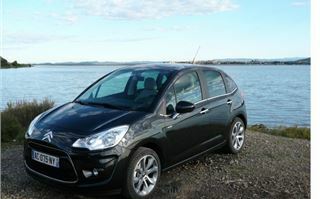 By March 2010 a 1.6VTi automatic and a 110PS 6-speed diesel (unfortunately with a DPF) will join the range. By 2011 there will be two diesels with stop/start systems and electronic gearbox systems emitting just 95 and 90 g/km. 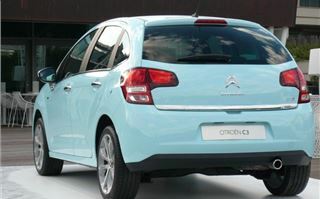 Later developments, by 2012, will include a new 3-cylinder petrol turbo emitting less than 100g/km. Interestingly, in rebellion against EC legislators, Citroen rather proudly announced that the new car had achieved just a 4 star NCAP rating because to achieve 5 stars it would have had to be fitted with ESP. I’m on Citroen’s side here, having almost been killed by an ESP system in an Alfa Romeo in Morocco. What happens is that, up to a point, ESP helps prevent a car getting into a skid. But once a car is in a skid, it fights the driver’s reaction. So if you get into a skid on ice, as you might well do this winter, it will usually be easier to drive out of it with ESP off than it will with ESP on. I’m not so sure about the Zenith ‘Visiodrive’ windscreen. (Not available, incidentally, on VT and Airdream models.) Our drive back to Rome was into the sun and everyone on the trip I asked had shut the rooflining and turned down the sunvisors. Vauxhall/Opel tried something identical on the previous model Astra Sporthatch and promptly abandoned it. And what happens if you hit a cow, or an elk, or, heaven forbid, roll the car? How well will the screen pillars protect you? Citroen showed a film of how the screen stands up to a normal front-end collision, but, these days, you never know what’s going to land on you. So, while I like the idea of getting a suntan while I drive and being able to see traffic lights (I have the sublind on the glass roof of my FIAT 500 open most of the time), I wonder what value Citroen customers will put on the ‘Visiodrive’ effect. Will they buy the car because of it, or despite it? Time will tell. Nevertheless, any company wanting to put its employees into a low BIK, but high quality car with plenty of feelgood factor and the added benefit of being able to claim the whole cost against one year’s tax should take a very close look at the C3 1.6HDI 90 Exclusive. For private buyers, the new C3’s biggest enemy is the C3 Picasso. Why would you buy less car for the same sort of money?